THE MASK // I see Sunday Netflix binges as a good excuse to throw on a face mask and let it work whilst you get through Gossip Girl (for the 5th time). The Deep Cleansing Mask from Grown Alchemist is an amazing product that deserves so much hype. The clay formula, featuring wheatgerm, ginkgo and cranberry, cleanses, smoothes and reduces pore appearance so you're left with gorgeous clear glowing skin. 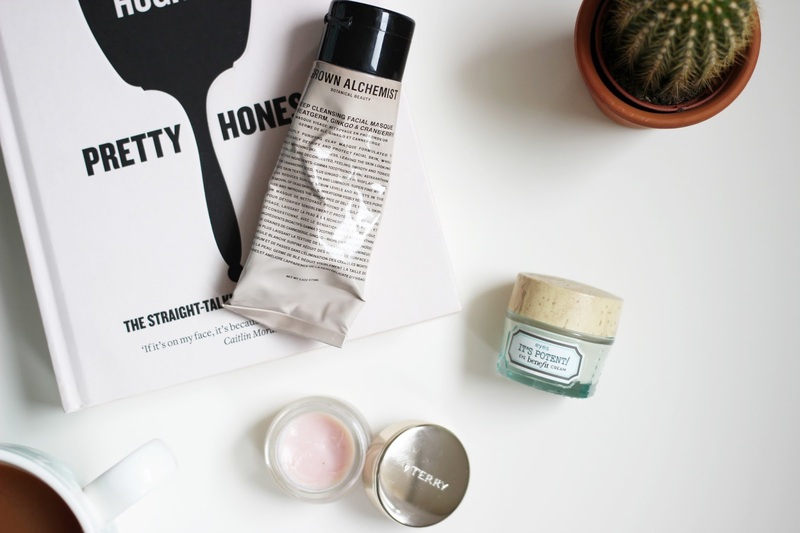 The Instagram worthy packaging also looks great on one's skincare shelf. 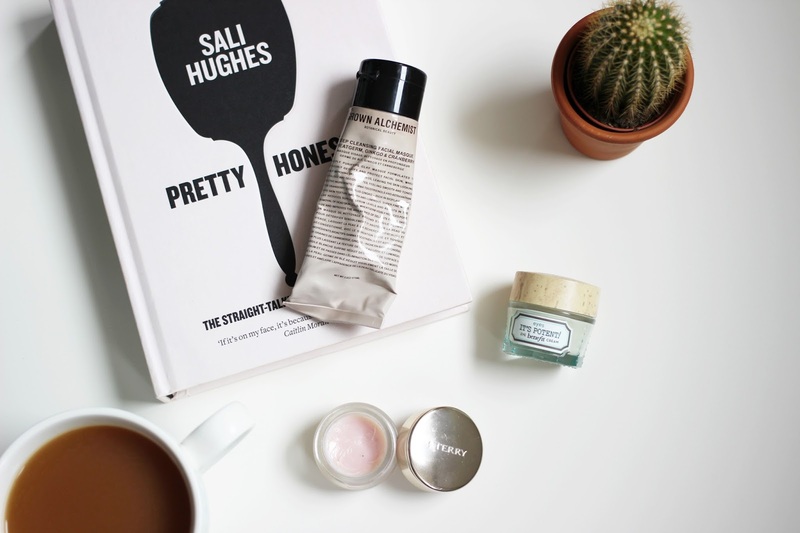 THE EYE CREAM // My love for Benefit's 'It's Potent!' Eye Cream is no secret. I've used this pretty tub every morning for over two years now and at the weekend I like to pop it in the fridge and apply thickly to the under eye area as an intensive mask. The product sinks in leaving the eyes de-puffed, bright and nourished, ready for another week of undoubtedly burning many candles at an unadvisable amount of ends. What's your Sunday Skincare routine? I really need to try the Benefit eye cream, I hear so many good things, it sounds amazing straight from the fridge! The Benefit eye cream sounds so amazing, I'm definitely overdue at trying it! I heard the benefit skincare range is amazing! I love the Benefit eye cream, I really need to repurchase it! The whole Benefit skincare range is great but in particular the eye cream. Great post! I love a good face mask on a Sunday! Origins Charcoal Face Mask is my top pick. Works a treat!